Victorian England. A mysterious woman commands a hidden army in a house of the blind. Scryclops stalk the streets - and something alien and terrible screams from prehistory with a hunger that cannot be sated! 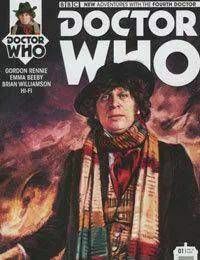 The fourth Doctor and Sarah Jane Smith return for an all-new adventure: Gaze of the Medusa!